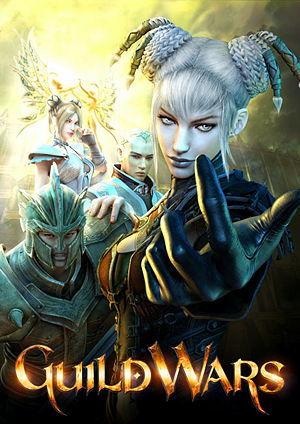 Guild Wars, the PC MMORPG, is one of my all-time greatest games. I have a tremendous amount of passion for this property, the game and the company that makes it. In my wheelhouse of life impacting games, such as Ultima and Phantasy Star, Guild Wars ranks incredibly high. So many of my recent memories are entwined with those of playing Guild Wars 1. With the release of Guild Wars 2 only a few weeks away on 8/28, I have been spending some time reflecting on why I am so passionate about this property. It took me a little bit of time to convince my fiancé (now wife) to give it a try, but once she did, she was hooked. We’ve been playing together for over 5 years and have shown up for all the in-game festivals, met wonderful people through our guild, and learned the pains and pleasures of playing kid-free to playing with 2 kids now (long stretches of playing are quite impossible without babysitters being involved). Over the next few days, look for additional articles where I talk about Guild Wars, gaming and storytelling, and gaming with your spouse.